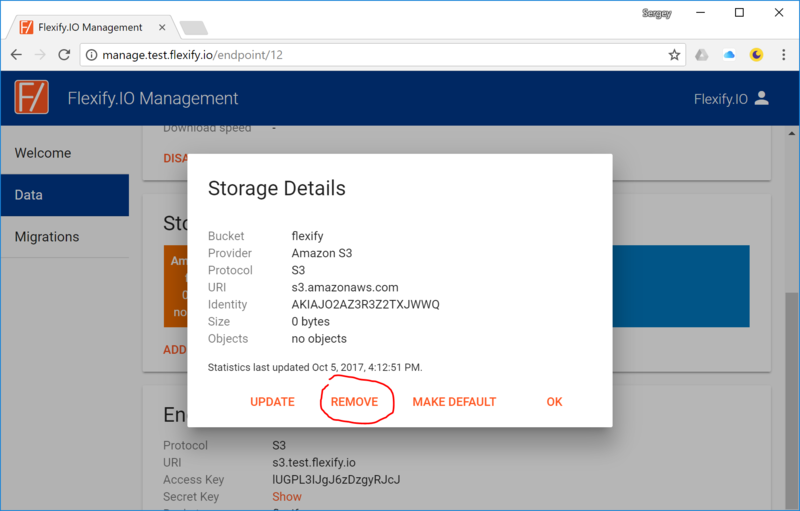 How to make sure that your application can work with new storage's protocol, which might be not S3-compatible? How to ensure data consistency when your application keeps modifying data during migration? How to avoid downtime that is normally required to ensure data consistency? How to minimize traffic coming thought your network and enable restarts in a case of failures? Flexify.IO is cloud-based service so that you do not need to direct migration traffic through your network while incremental migration only migrates data that is actually different allowing for simple start/stop with virtually no overhead. 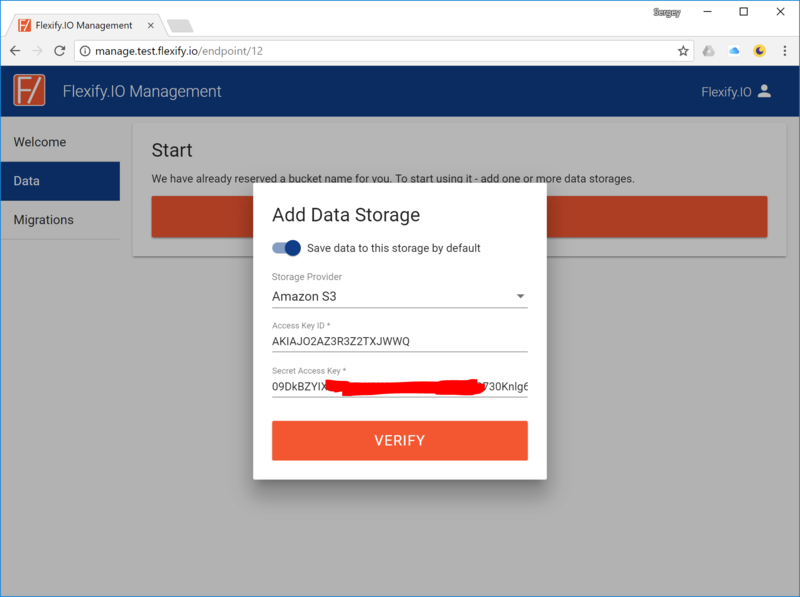 In the simplest scenario when you don't need to care about data consistency or downtime, migrating your data with Flexify.IO is just a matter of a few clicks. 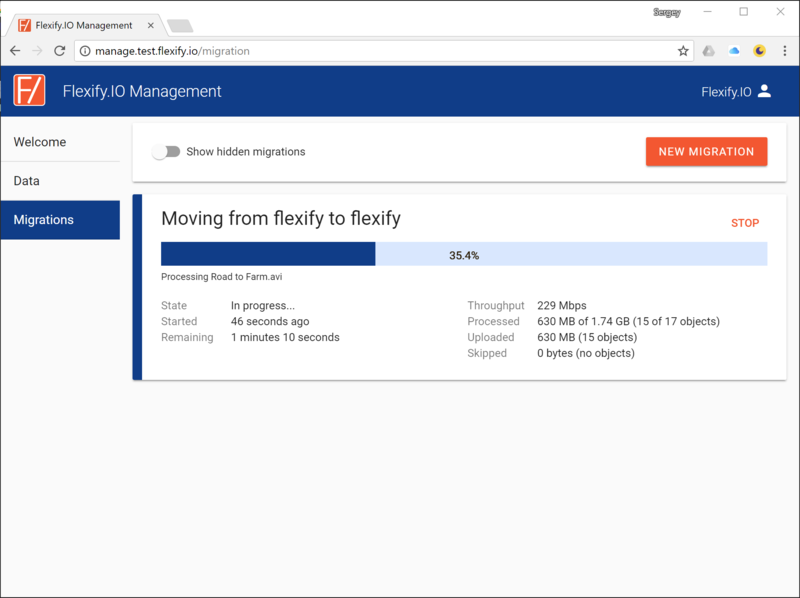 Flexify.IO enables you to avoid downtime during migration by virtualizing your storages and presenting all your data to your application in a single, combined bucket. This way, no matter what data is already migration and what is not, your application always sees all the objects. 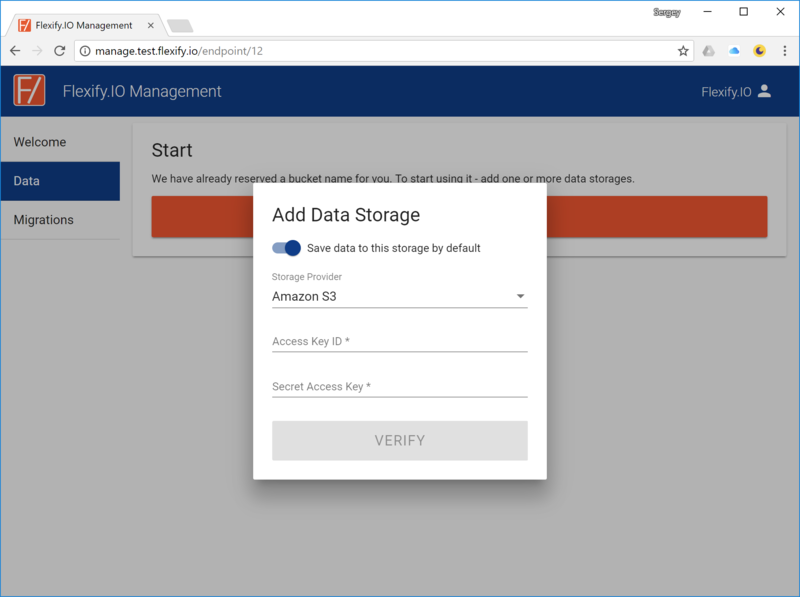 By completing the previous section, you have already configured Flexify.IO for storage virtualization! All you need to do now it tell your application to send data requests to Flexify.IO. 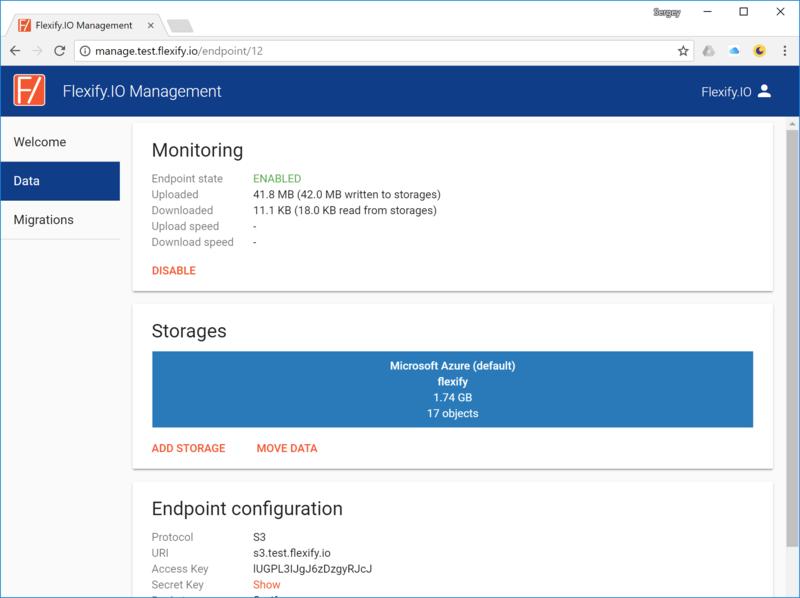 Configure your application to use your Flexify.IO endpoint and keys. This info is displayed in the Data tab as well (you will need to click Show to display your Secret Key). 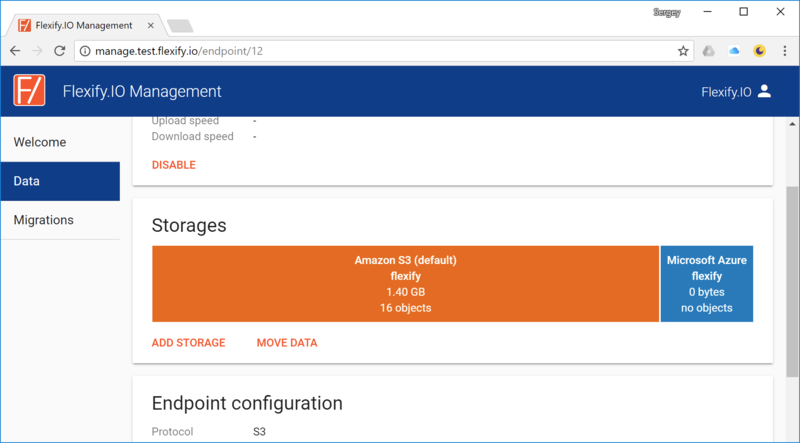 See How to Configure Your Application for Flexify.IO for details on how to change S3 endpoint that your application is using. Click on your destination storage and make it default. 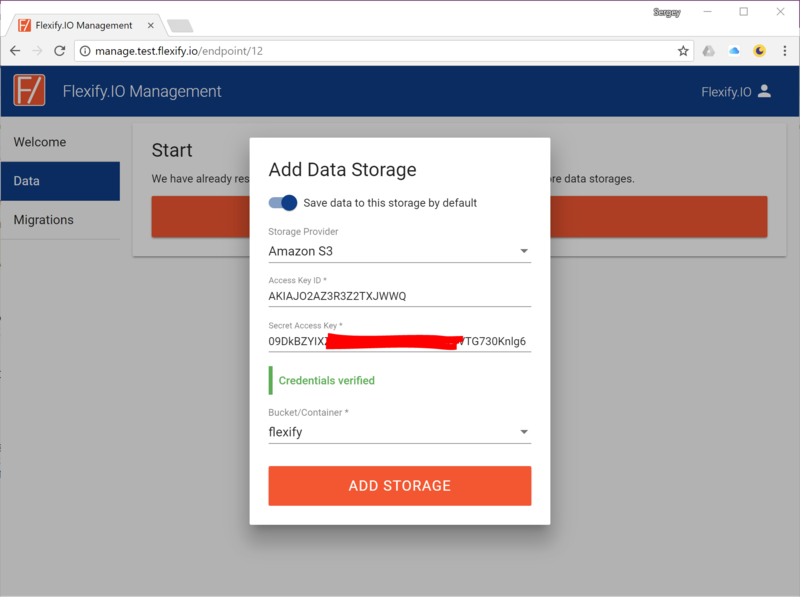 Flexify.IO forwards data your application writes to the default storage. 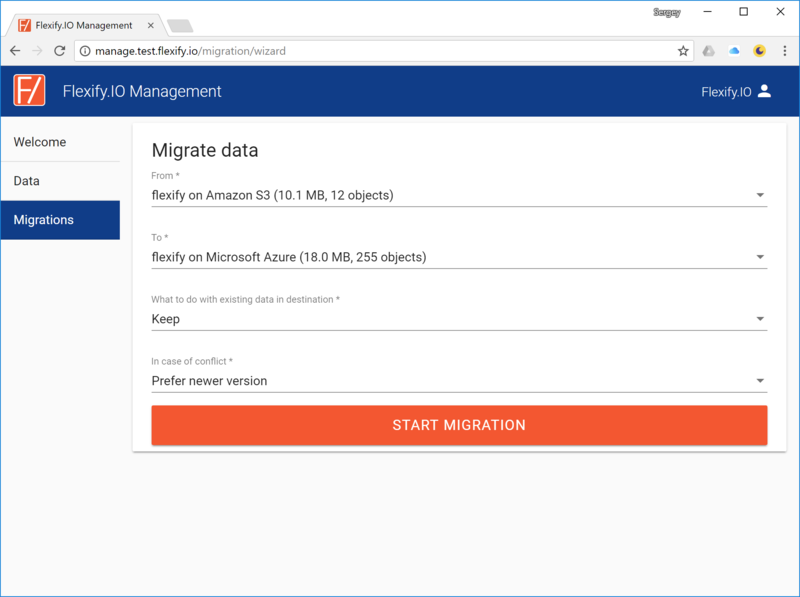 Now you can start migration by clicking Move Data and, no matter how long it takes, your application will have access to all the data, migrated or not, all the time. As you can see, one of the storages in our example is Azure Blob Storage. 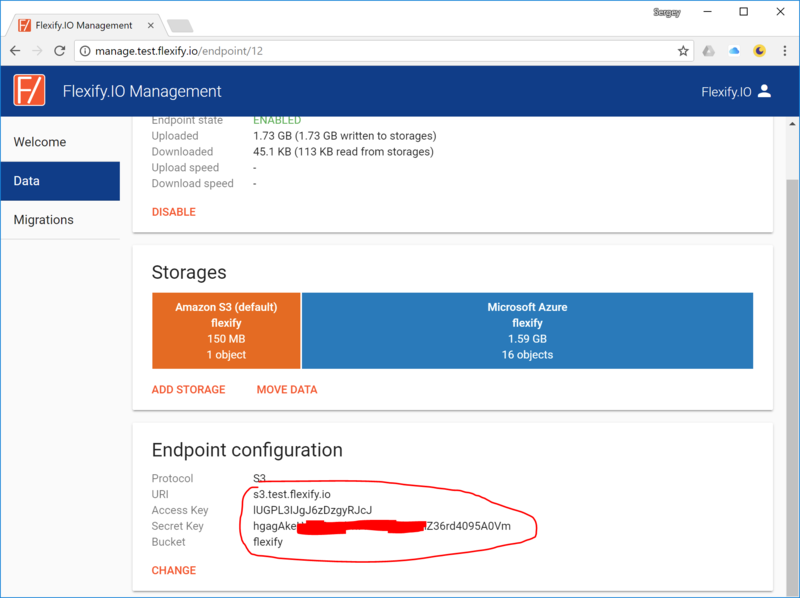 Your application is still using S3 protocol to access the data, and Flexify.IO transparently converts S3 requests to Azure requests! 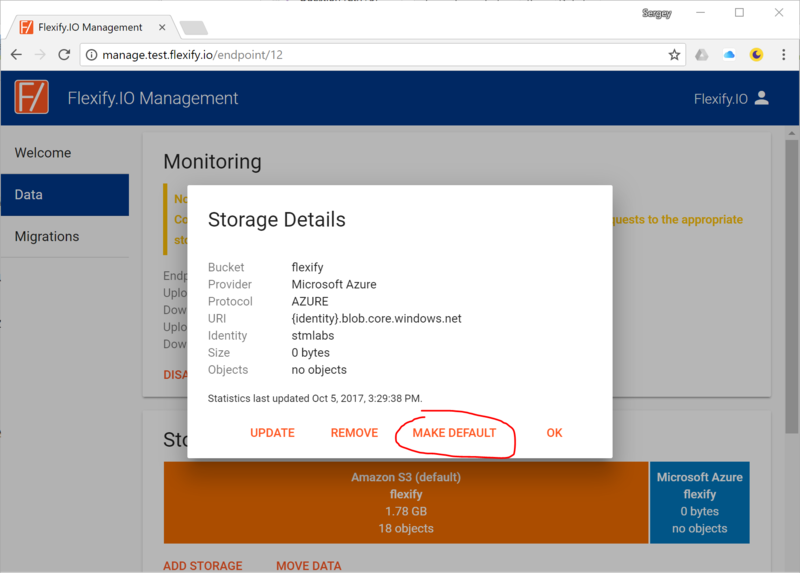 When the migration is completed, you can safely remove your source storage from Flexify.IO configuration. Now you S3 application works with data in Microsoft Azure!